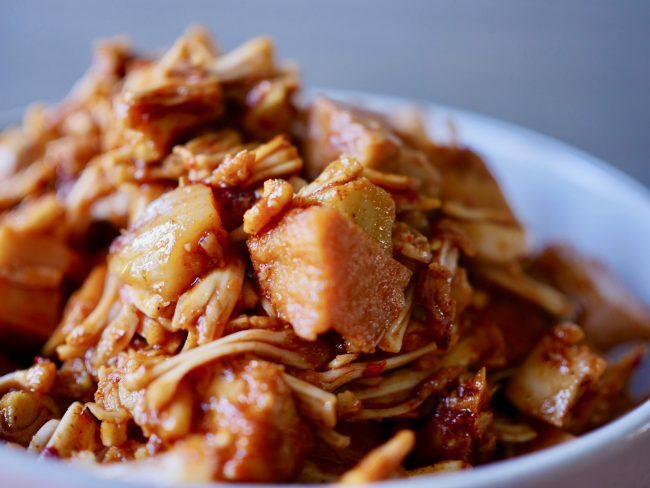 We have been cooking up a jackfruit frenzy over here, because Jackfruit my friends is about as tasty as it can get, with an uncanny pulled pork texture. 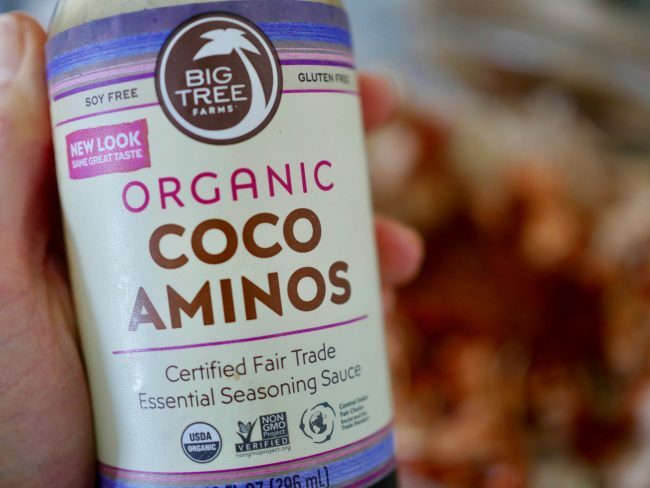 It is not a meat alternative or substitute, it can stand on its own as a great main to something like tacos, burrito bowls, salad, nachos, and more. 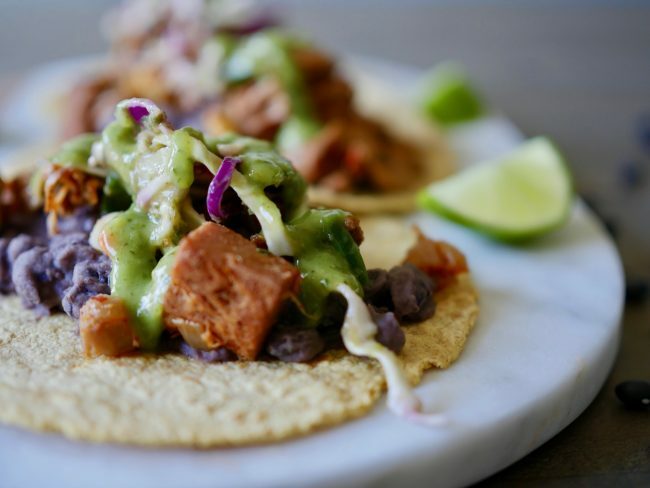 Here is my take on carnitas, jackfruit style. Rinse jackfruit thoroughly using a strainer and pull apart into smaller, bite-sized pieces. It should fall apart pretty easily and resemble pulled pork. Shake strainer to remove excess water. 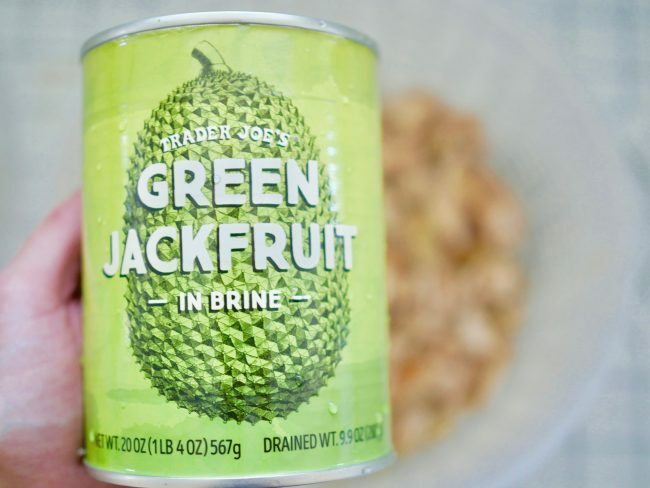 In a large bowl, whisk together remaining ingredients, add jackfruit, and toss to evenly coat. Cover and let sit in the fridge for at least 2 hours. Let sit overnight if possible. 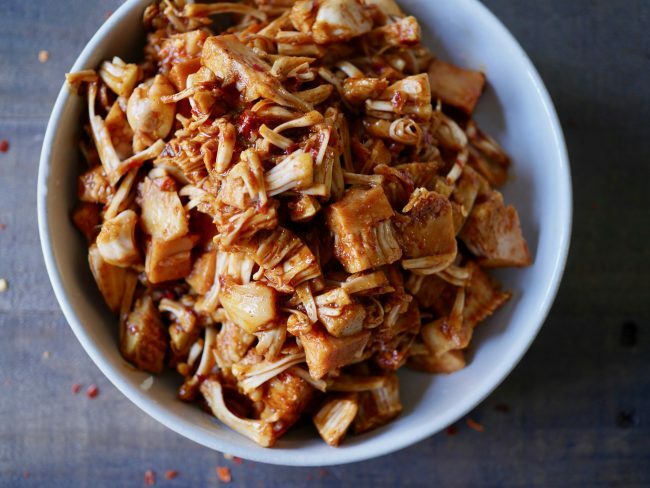 Once jackfruit is marinated, heat a large skilled to medium heat. Sauté onion with avocado oil for about 5 minutes, or until golden brown. Add minced garlic, toss, and sauté for another minute. Pour in marinated jackfruit, with all the juices, reduce heat to low-medium and partially cover. Simmer for 15-20 minutes, stirring occasionally to prevent any sticking. Add water, in 1/4 cup increments, if jackfruit sticks to the bottom of the pan. After 15-20 minutes, remove lid and let cook for another 5 or so minutes, until some of the liquid has evaporated. Taste and adjust seasons to preferences. 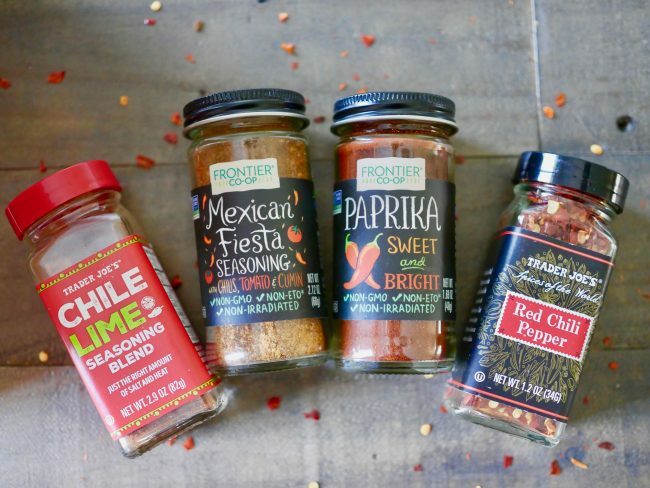 Chipotle peppers in adobo sauce are available at most specialty grocery stores, some of the major stores, and Amazon. Look for La Morena brand. Can’t find adobo sauce? 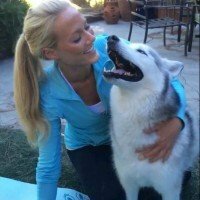 Try combining 1 Tbsp. Tomato paste, 1 Tbsp. Apple cider vinegar, 1 tsp. Chipotle chili powder, 1/2 tsp. cumin, 1/4 tsp. Dried oregano, 1/4 tsp. Garlic powder, 1/8 tsp. salt. Combine all ingredients in a high-powered blender or food processor, and blend until creamy and smooth (for 1-2 minutes). 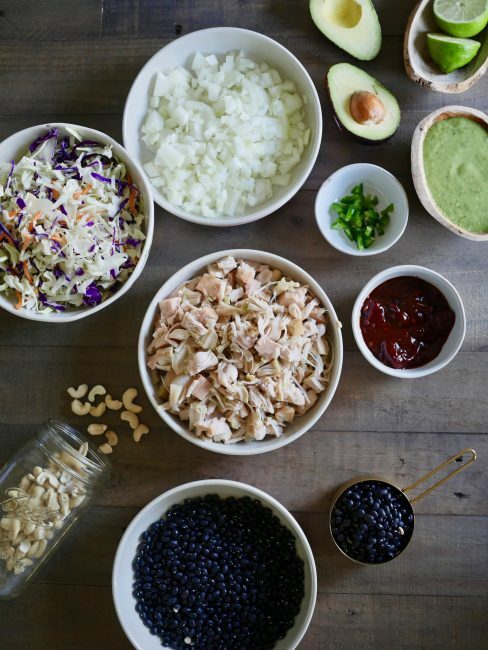 Toss with shredded cabbage, add to tacos, or use as a salad dressing. Written by: Coach Jentry on February 1, 2019. 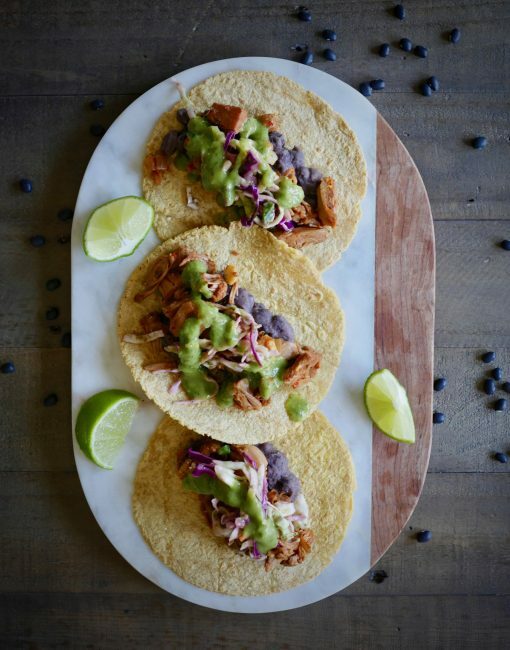 2 Responses to "Foodie Friday: Jackfruit Carnitas"
Thanks for showing a picture of the ingredients and seasonings. These look like something I will try!